10 point checklist that adddresses the issues associated with power after an event that disrupts a network, availability of power to recover and run the network often is critical. 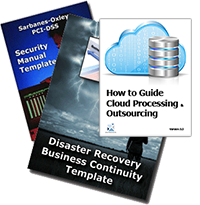 A 10 item check list of what to consider in the recovery process needs to be incorporated into the disaster recovery - business continuity plan. Understand the minimum power requirements to be operational. Have a clear understanding of a facility's critical loads. Have an adequate fuel supply to operate backup power sources. Make smart fuel and technology choices, considering things such as if natural gas pipeline service were to be disrupted in your community. Make sure that you have sufficient fuel storage capacity on-site for an extended outage. Set reasonable response times for standby generator. Frequent outages of a few seconds, a few minutes, or more, can have significant cost implications for businesses. While some other generators take up to two minutes to engage, diesel-powered generators are uniquely able to provide full load power within 10 seconds of a grid outage. Maintain your equipment and test it operations. Standby generators should be exercised periodically to ensure they will operate as designed in the event of an outage. Understand your environment and geography. Even the best generators won't work underwater when subjected to extreme flooding. Check unit location for protection from flooding and ensure you use the proper gauge extension cord. Set up generators in an "open environment". Use generators or other gasoline or charcoal-burning devices such as heaters in an open area or outside near an open window. Carbon monoxide fumes can build up and poison people. Quarterly review your load. Know when there are any new demands or critical circuits to protect. If you've added new computers or other power-hungry devices, consider updating switchgear. Meet all mandated compliance requirements. Make sure you have the proper permits and records on operations. Optionally contract for a rental power source. Consider a rental generator power for use in the event of an extended outage.